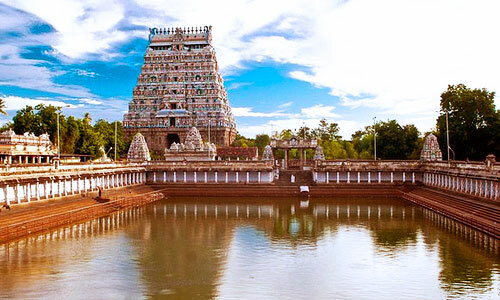 Chidambaram TillaiNitarajar Shiva Temple is located within the heart Chidambaram city of Tamil Nadu. 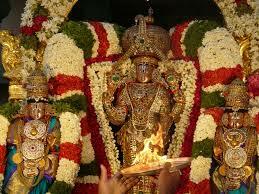 This temple is around 235 kms from Chennai and 78 km from Pondicherry. The temple is incredibly beautiful. The old part of the temple is considered to be thousands of years old, but no one is aware about the age of the new part. These temples are very old and made during the time when the kings lived in their shacks. As the temple is built in ancient time where they were no machines, cranes, advance equipments, generations of people worked together to build these temples. These temples make the real heritage of India. 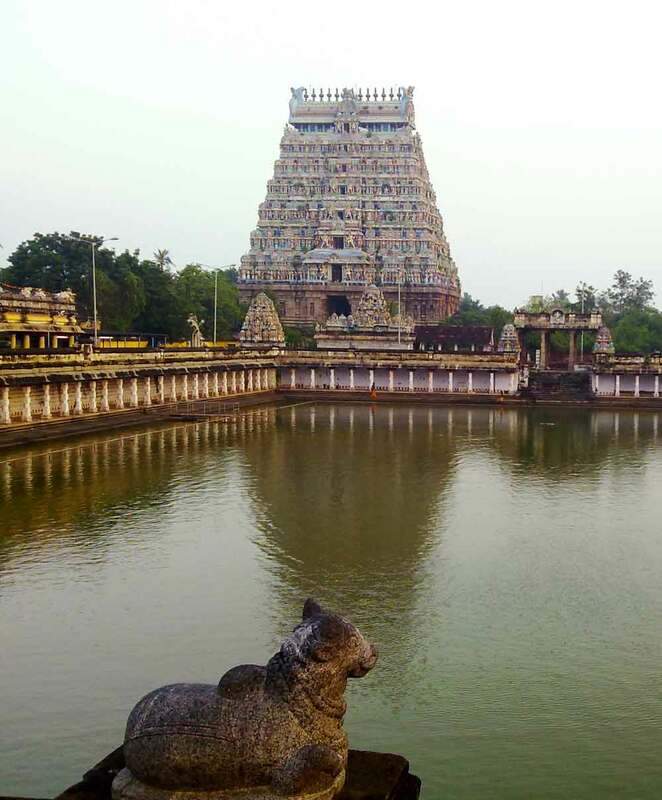 The Chidambaram existence took place long back when once Lord Shiva walked leisurely in the forest of ThillaiVanam (Thillai means trees and Vanam means forest). Many saints with their wives lived in the same forest. They believed that theirGod can easily be controlled by magic and mantras. The Lord walked down the jungle with his brilliance and beauty accompanied by Lord Vishnu (as Mohini ). By looking at them, the Saints &their wives got influenced by their look and grace. Seeing the wives being charmed by the Lord'sgrace, the Saints got maddened and started doing magical rituals to frighten the god with snakes. The Lord took the snakes and made them his ornaments to wear on the waist and neck. Getting more annoyed, the saints invoked a tiger; only for theLord to wear it as a shawl round his waist. The saints were highly frustrated, and they collected all their power and magic to create a demon named, Muyalakan. The Lord then goton top of the demon's back and started doing tandav; the lord Shiva later returned to his original form. Witnessing all these, the saints realized their misconduct and understood that the Lord is beyond any magic they could do. 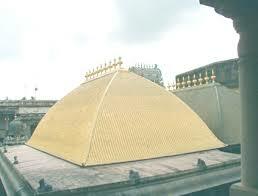 There are five holiest temple of the Lord Shiva in India; the Chidambaram is among the 5. 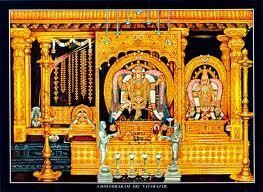 These temples represent the five elements where Chidambaram representakasha (aether). 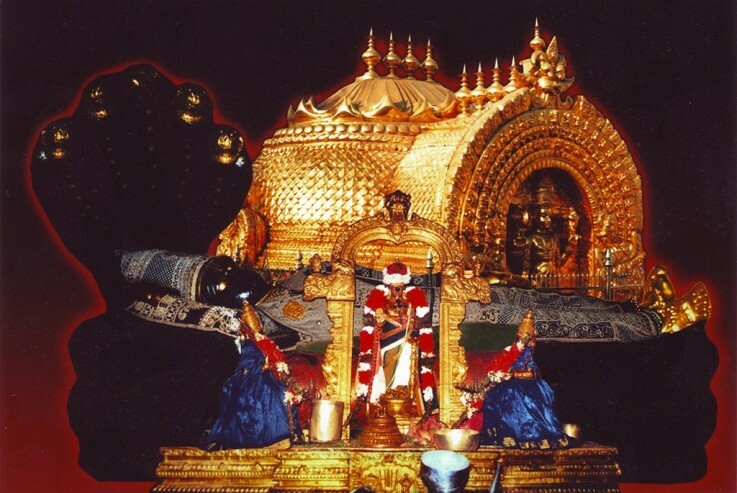 The 4 other temples represents ThiruvanaikavalJambukeswara,Trichy (water)Kalahasti, ThiruvannamalaiArunachaleswara (fire)Thiruvannamalai andKalahastiNathar (wind),KanchiEkambareswara, Kanchipuram(earth). The Chidambaram holds two annual Bhrammotsavams that includes processions in the streets.The first festival is celebrated in the month of Margazhi (December- January) concluding the full moon along with the ArudraDarisanam which is celebrated all over Tamil Nadu. It is a ten day traditional event which starts with the flag hosting on the first day, progressing by the five deitys' processions on the next eight days. The fifth day is celebrated as Mount Kailasam while the sixth is celebrated with the elephant mount.The second Bhrammotsavams is celebrated in the month of Aaniand ends with the AaniTitumanjanamon the tenth day. The both festivals are celebrated immediately after the months of summer and winter. The temple has now introduced live dance performance in the form of the annual dance festival.